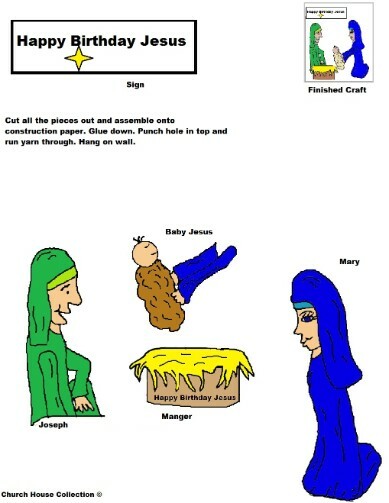 Just print this activity sheet out for kids and let them have fun cutting the all the pieces out. Let them color it before they cut it out if you printed the black and white one. 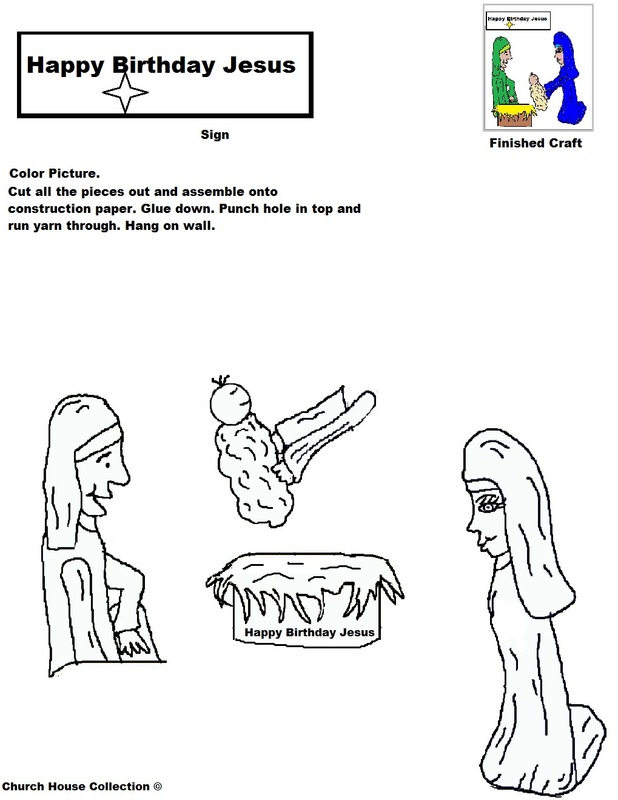 Cut out Joseph, Mary, baby Jesus, bed, and the square with the words, "Happy Birthday Jesus". Glue down on colored construction paper. You could use black or brown construction paper and add gold sticker stars for the night sky. Or have the kids draw yellow stars on using a crayon. Use a hole punch and add a hole in the top of the paper. Run some yarn through and tie in knot. Hang this up somewhere to display the Nativity Scene. Want to make a frame picture instead? Just glue all the pieces down on construction paper and add large or small popsicle sticks around picture to frame it. Want to make this last for many more Christmas's to come? Just laminate the completed picture that's on construction paper and hot glue the popsicle sticks down. Then hot glue a popsicle stick in the back going horizontal ways and then hot glue another popsicle stick to it going straight down but sticking out. You might have to clump up the hot glue pretty good to get the popsicle stick positioned right so it will stick out just right when you stand the picture up. Hope I am making sense here.